We have started teaching Emily how to read music this summer. She is entering third grade, the grade I started taking piano lessons, so I thought it was about time. I'm just doing this on my own, with some guidance from her piano teacher. I decided to use three different primers, and I may add a fourth. I chose to use three different primers because I have never taught piano, nor am I trained to teach music. I felt if I used different primers and music books, I wouldn't miss anything! 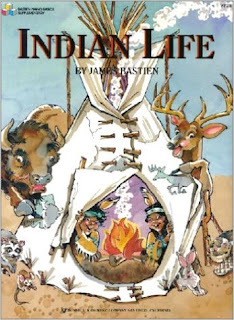 My sons take traditional method, and their teacher uses two teaching methods and books to teach. As she is a professional, I didn't feel I was out of place using different authors and publishers to teach music. I really like this series, especially if you are working with really young children. Each piece has a story and characters who while telling a story, teach music notes and theory. Emily loves it! It moves really slowly, so I ended up moving to book three rather quickly. They also have workbooks, stuffed animals, flashcards, that go with the books. There are four primer books in this series. We are currently on book three. You can see more of the books here. This is where my boys started. 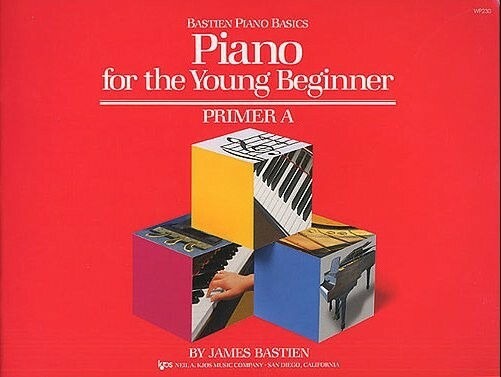 Bastien is a well known method and liked by many piano teachers. I have liked their choice of songs--I have been very pleased, and I think my boys have enjoyed many of the songs from the books. My oldest son especially loved Indian Life. It has so many wonderful songs! 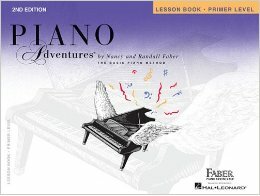 Primer #3: Piano Adventures by Faber. 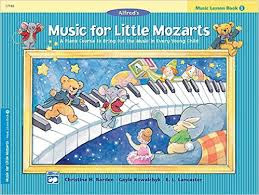 This book is recommended by Emily's piano teacher because of the repetition. I like it because it really helps the student learn how to read the music! I really didn't think she was catching on to the entire reading music. She has a great ear, so she often relies on her ear. But of course, she surprised me. She started writing her own pieces. It didn't surprise me that she wrote her own pieces, because she has been doing that forever, it surprised me that she actually wrote the exact notes she was playing. Low and behold, she was learning how to read the notes! We are still working on Book 2 songs in Suzuki! She is learning G Major, and I am amazed at how well she can play the song! I always listen music and here first time see that I can also read music. You guys explain about reading music with good way writing style is good and seems user friendly. 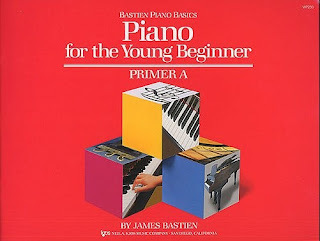 Bastien is a well known method and liked by many piano teachers. I have liked their choice of songs--I have been very pleased, and I think my boys have enjoyed many of the songs from the books.